It is already proved that pinners love to watch videos on interesting topics. Promoted videos bring best elements of the platform. These help the businesses share ideas with people and encourage them to give a try to their ideas. Promoted videos offer features pins under the video. Many brands partnered with Pinterest when they launched Pinterest. Promoted videos feature can be used by businesses in US and UK that are working with the account team of Pinterest. Here is everything about Pinterest Promoted Video. Why Promoted Video Ads Buzz on Pinterest? The launch of video concept on Pinterest is the most surprising aspect that every user is eagerly waiting. It is driving the much audience attention than before. The Pinterest has become the most engrossing media where the active users are being to promote the specific brand. How? With the Promoted Video Ads on Pinterest the brands can reach the audiences. These video ads will not annoy the audiences to watch. The Promoted Video Ads on Pinterest will play automatically while the users scroll. It requires no viewer hit and let the users to watch your video know the brand’s offers. It will lift the brand reputation instantly. The home feeds and search results are served with the auto-playing video ads. The tactic of ‘more like this’ will boost of the promotion strategy of a particular brand. The Pinterest advanced tools will help to serve your video ads by picking the gender, age, keyword and mobile device etc. The reached audiences to the particular video campaign and the spent time to watch it can be identified. The views of the video can be found and the saved videos, likes and visits to the website through Pinterest can obtained. File type should be MP4 or MOV. Minimum 240 pixels resolution is required. The length of the video play should be 30 minutes or less which is 2 GB or less. Vertical aspect ratio is 9:16 and the square aspect ratio is 1:1. The minimum frame rate is 25fps. It is possible to buy the Promoted Video Ads through reservation CPM or auction where the Pinterest Ads are available. We can get it buy signup in to the Pinterest Ads Manager. Now click on ‘Get a business account’. Then create the business account by filling all the details. It will let you to access all the tools from the Pinterest to make the promotion of the brand. Enhancing the brand reputation through the narration of wonderful story about the how the collection of rain boots from the Hunter will make the rain play amazing. The aim this brand is to reach the women aged from 18 to 40. It has found 30% brand search on Pinterest. Lowe’s makes people to enjoy where they live by providing the complete guidance to improve home. Lowes has reached more than expected audiences through the promotion of Promoted Video Ads on Pinterest. It is the Fashion mobile app that collaborated with the Pinterest API to launch the video ad campaign. It has boosted the app traffic to 118% and raised the pin creation to more than 24x. Pinterest launched promoted videos in 2016 and various brands try range of video content strategies. 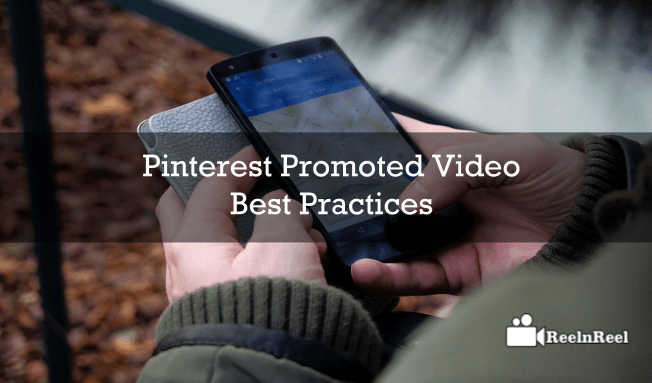 Based on a study ran by Pinterest to find out what type of videos work best, here are the best practices for promoted videos. 1. Brands must use the storytelling promoted videos for sharing news, launching products etc. Measure the success of these videos via dwell time, reach etc. 2. How to promoted videos help people learned more about products and their working. 3. Engagement rates, completion rates and time spent are the metrics using which the video performance is measured. 4. The study revealed that the completion rates of videos on Pinterest do not depend on the length of the video. 5. Ensure that the video quality is very high to get high engagement. 6. Compelling visuals, relevant topics and high-quality content are what matters over the length. 7. Features videos should tie back to the main video. 8. Running sequentially promoted pins helps retargeting people. 9. Use the initial video to drive awareness. 10. Use successive pins to keep people engaged and drive them closer to action. Promoted videos on Pinterest promote more and more views. People on Pinterest watch seventy five percent more videos compared to other platforms. Above mentioned are the best practices that should be followed for promoted videos on Pinterest.